Todays text is taken from chapter 2, verse 1: The 7p’s. Prior Planning and Preparation,Prevents Piss Poor Performance. 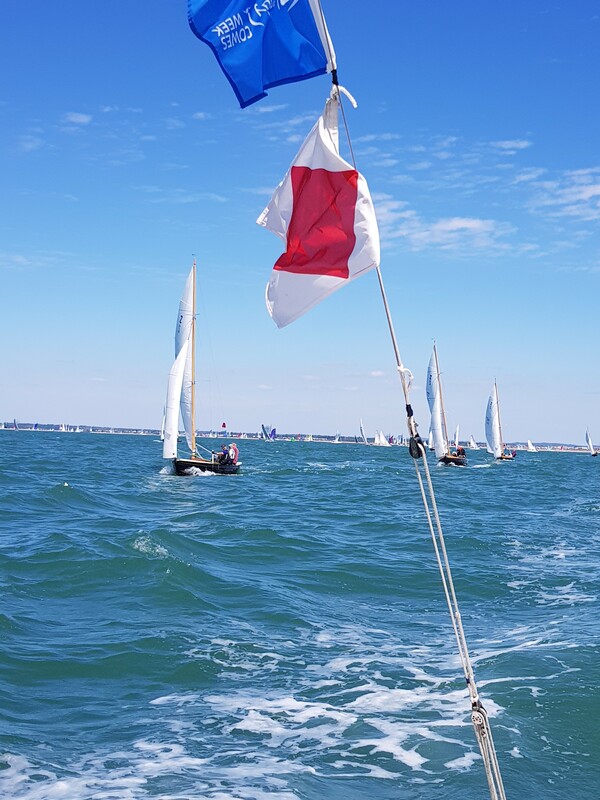 Course to steer…RYS line, south Ryde Middle, Colette, Norris, fevertree, wightlink, laid mark s, Breakwater line. Wind yes, well about 8 knots, tide? Yes there’s quite a bit of that in the Solent, today it was pretty much East going all day (Ed’s note: the tide is never pretty nor simple at Cowes). At the start gun Zinnia Z69 started mid line, Z77,Z80 and Z71 higher at the squadron end, pincher Pringle soon saw off Z71 and then encouraged Z80 to tack to clear her lane. Z69 worked hard to make sure that Z77 did a clearing tack first. On the first cross 77 ahead of 69 then 80, 71 just off the lead three. The next cross saw Z69 in front. Job done…? If only racing at Cowes was that easy! 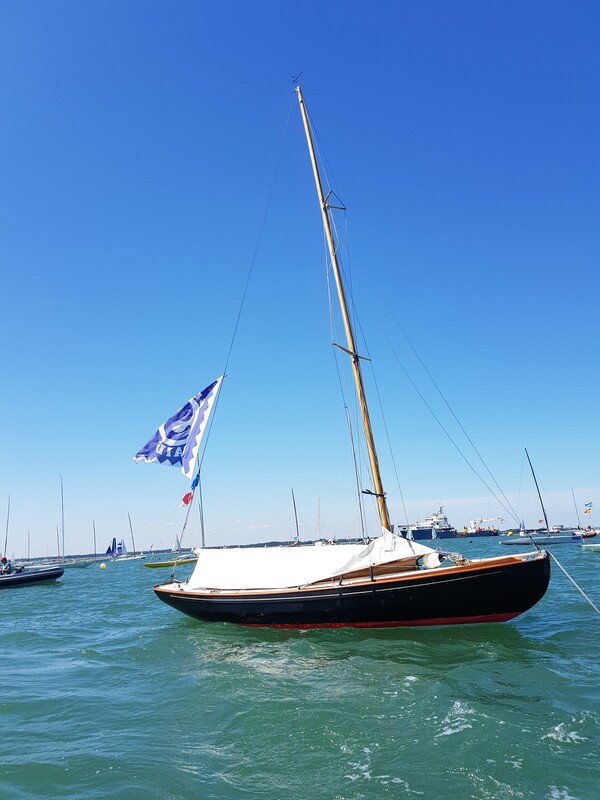 A few boat lengths lead at south Ryde Middle, before Z80, then Z77, Z71, Z54 all in play, the short fetch to Colette saw Z69 first to hoist just before the mark, Z80 gybed at Colette and hoisted followed by Z54,Z77,Z71. The run to Norris saw 69 extend another couple of boatlengths, taking Z80 with them, a small gap to the ‘pack’. The reach from Norris was tight but the fleet flew kites with no place changes. 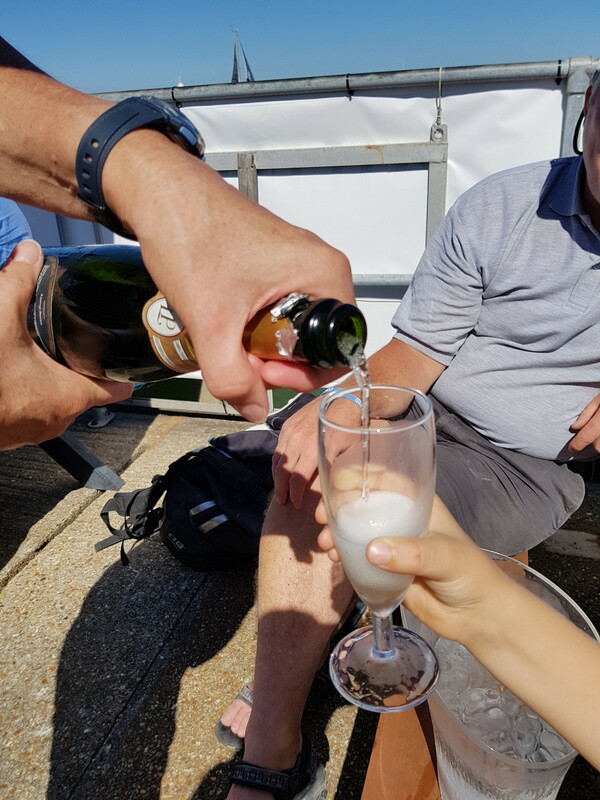 So the thing about racing at Cowes is that you can lead the race all day, but the only bit that matters is the finish line, the last leg. So with an hour or so to fill before the last leg the fleet sailed round a square just off Osborne bay, here to there, there to there, until..
With ‘u’boats on the same race track the opportunity to win or lose places was there. Z69 led Z80 to the island shore, Z54 follow with Z77,Z74 and Z71 all vying for a podium place. Gybing at the exclusion zone Z80 took the opportunity to close to within a boatlength of Z69, pressure. We love pressure. “Will this wind?” Yes Pete, will this wind smite? 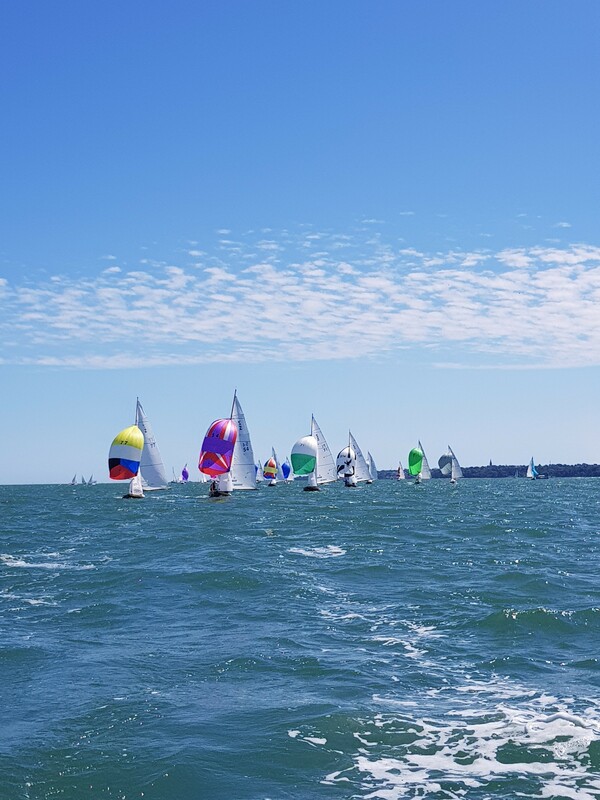 Very nearly yes, it will smite, at the gun Z69 by two seconds from Z80 , the fight for third was even closer, Z54,Z71 and Z74 all a gnats whatsit apart….Z71 got the puff to take third, Z74 got the wave to beat Z54 by just a second. Close? Yes, you bet. Stressful? Nah, it’s family day. All the kids want is champagne, job done. Congratulations to Adrian Z80, first in the class top trumps, dinosaur edition. Forecast looks like a day of beer tomorrow… Whoop whoop.